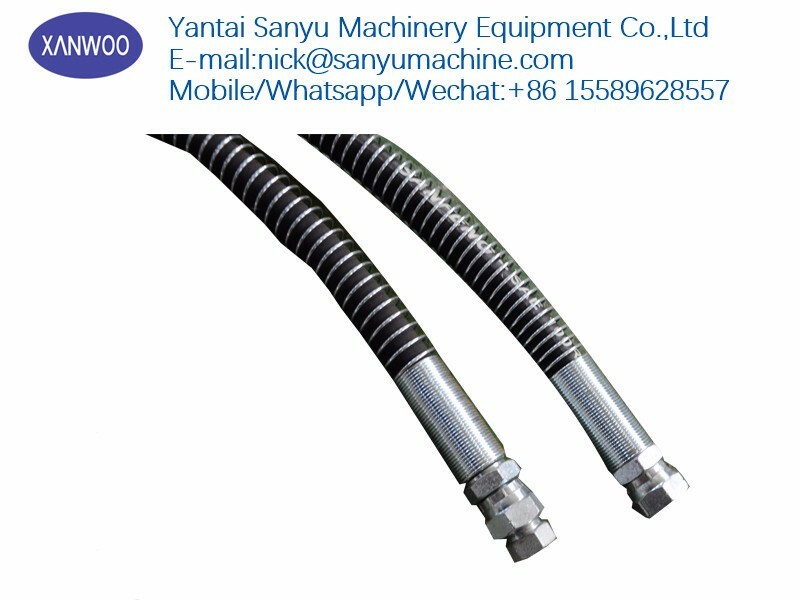 Hydraulic breaker spare parts hose for hydraulic breakers and excavators.Hydraulic breakers are called "crushers" or "crushers." The power source of the hydraulic breaker is the pressure provided by the excavator, loader or pump station. It can crush stones and rocks more effectively during construction. Work efficiency. 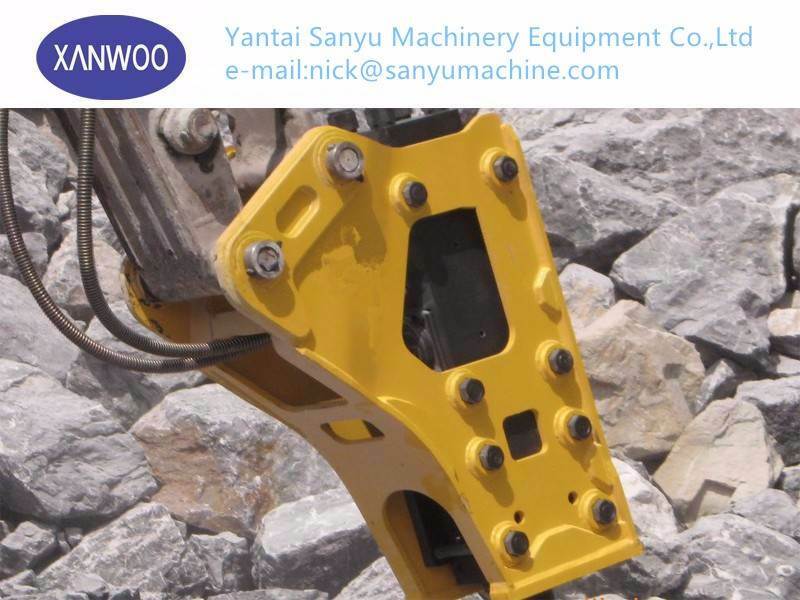 The principle of selecting a hydraulic breaker is to select the most suitable hydraulic breaker according to the type of excavator and the operating environment. 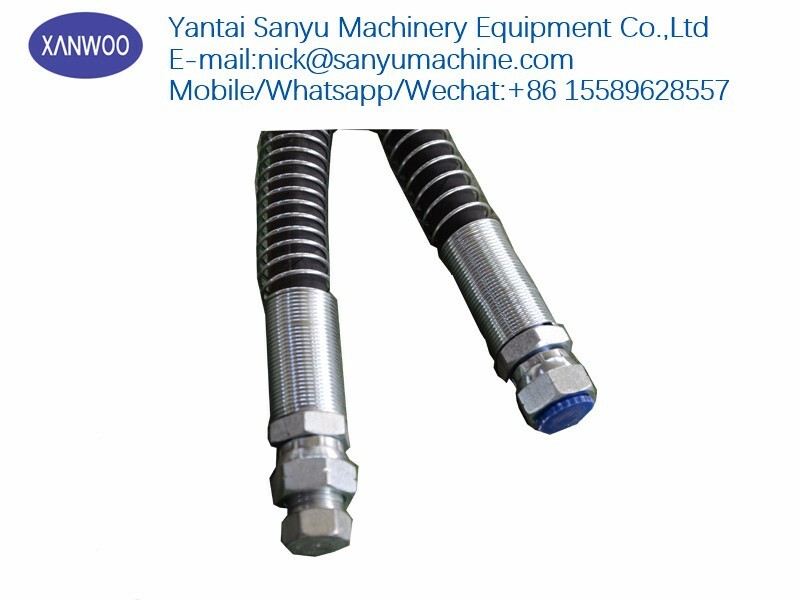 China Sanyu Machinery Equipment Co., Ltd. is a professional manufacturer of hydraulic breakers. Since 2003, it has passed CE certification. Introduce foreign advanced technology and equipment to produce circuit breakers. It uses modern processing and management methods based on production, sales and research. And development. The company's miniature circuit breakers are known for their outstanding performance and powerful impact. The products are produced with high quality, high stability, precision machining and durability. They are widely used in crushing, mining, roads and civil engineering. Engineering, demolition, special engineering (underwater engineering, tunnel engineering, etc.) and other construction areas. 1. 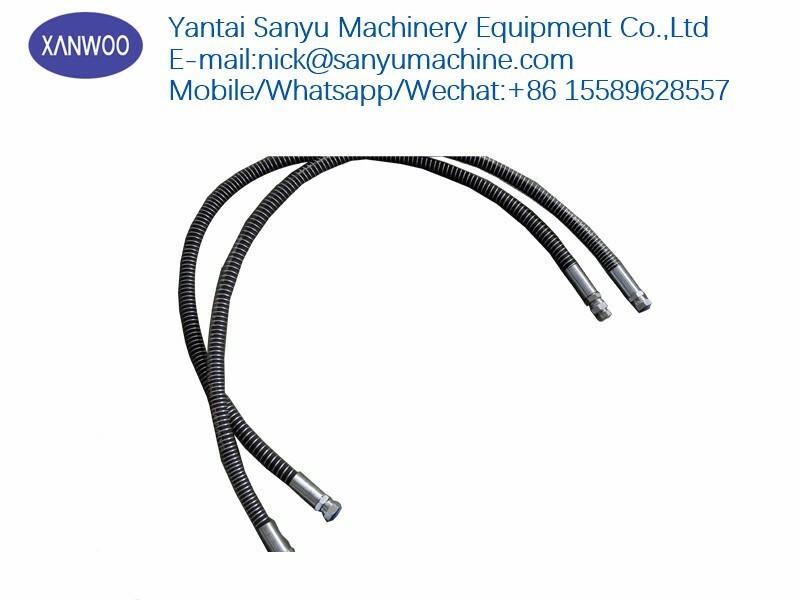 The hose is made of special synthetic rubber and has excellent oil resistance, heat resistance and aging resistance. 2. 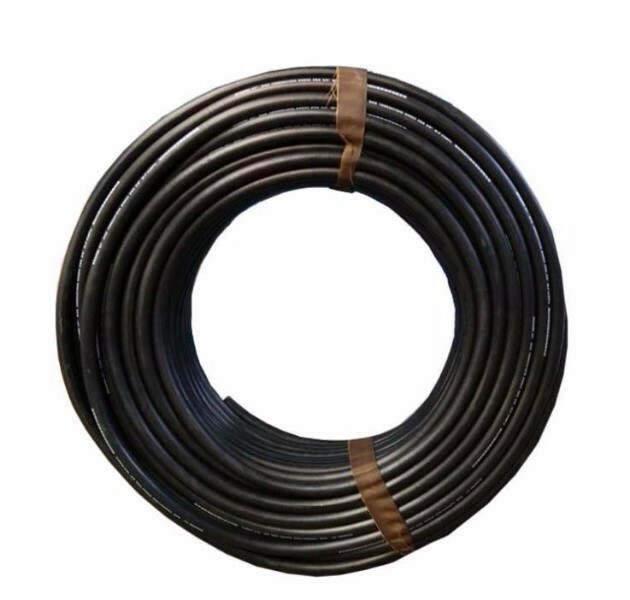 The hose has high pressure and excellent pulse performance. 3. The tube body is tightly combined, soft to use, and small deformation under pressure. 4. 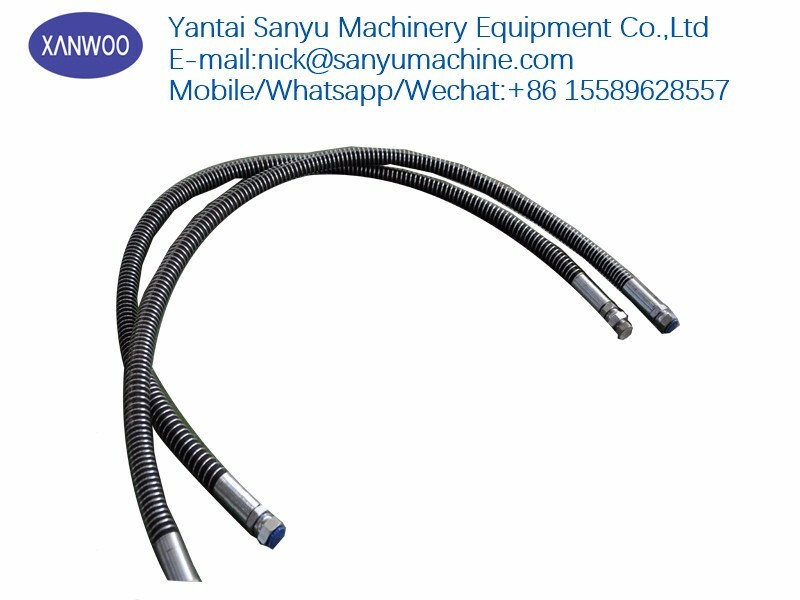 The hose has excellent resistance to bending and fatigue. 5. 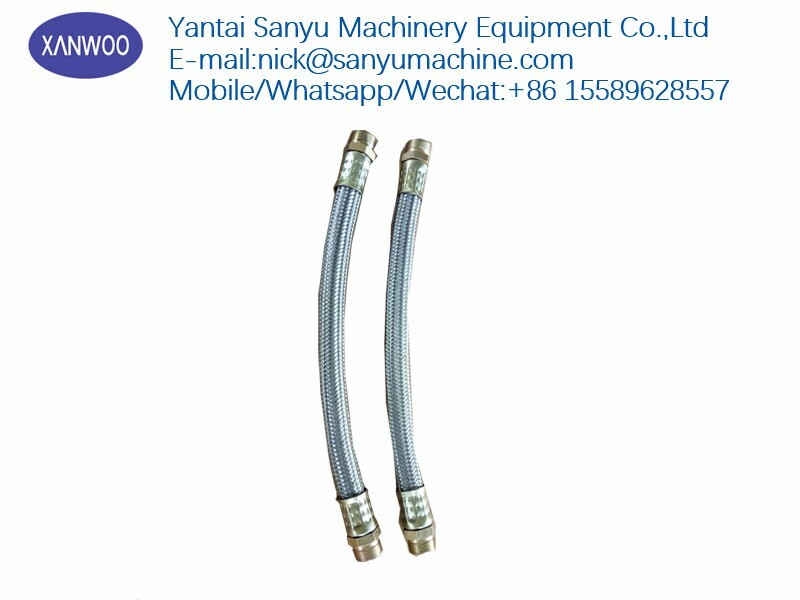 The wire-wound hose has a length of 20 meters and can be made within 50 meters according to requirements. 7. 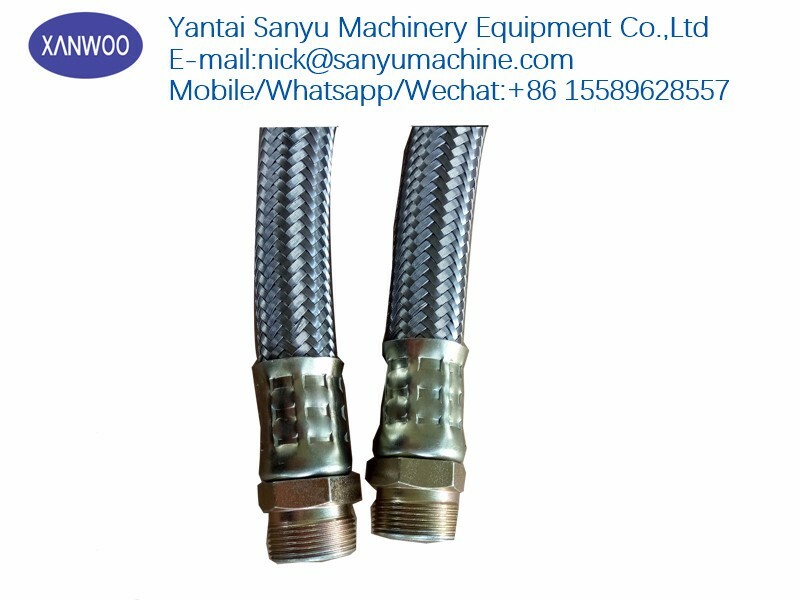 The high-pressure hose assemblies produced by the company are all made of high-quality steel wire braided hoses or wire-wound hoses and hose joints, which are crimped by special equipment. 8.According to the needs of users, you can choose high-quality carbon steel joints, stainless steel joints, copper joints, aluminum joints, etc. 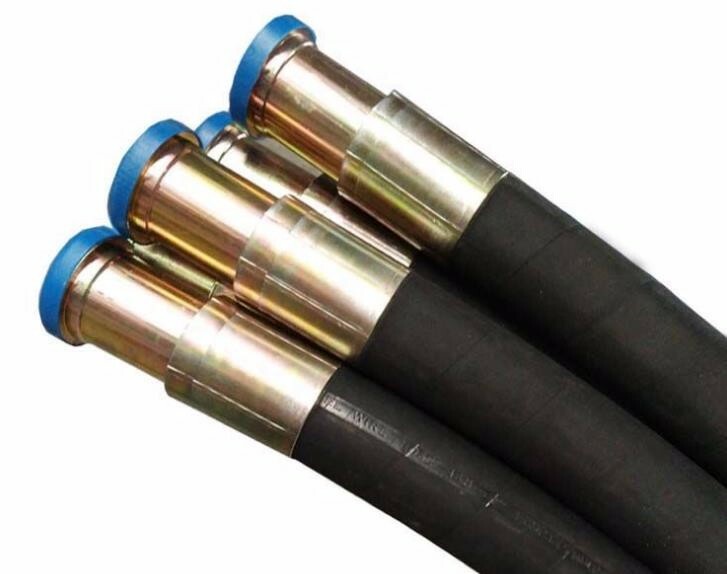 10.Under high pressure and pulse working conditions, it does not leak liquid, does not decaprate, has high safety factor and long service life, and can design and produce special-shaped joints and connectors according to user needs. 1. Do you have a manufacturing industry? 2. Will you send PARCEL? After confirming the payment, we will send the package as soon as possible. 3. When will I receive PARCEL? We prefer express delivery, which usually takes 3-7 days via DHL / FedEx / UPS. Container shipments will be sent via FOB / CIF shipping, depending on the destination port. 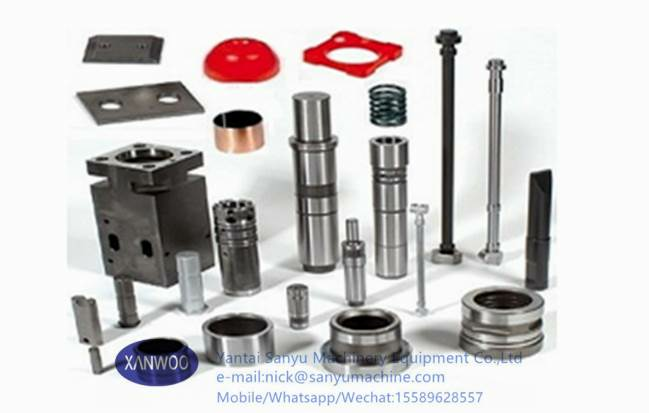 Company Name: Yantai Sanyu Machinery Equipment Co., Ltd.